I got my answers and that's all that matters. No if the GTX480 is 30% faster than the 5870 then I supect the price to be close to the 5870 and not the 5970. The 5970 can be bought at $630 ish before taxes so my estmiate is the GTX480 is not going to be above $550 more like $500. Then ATI will drop their prices and nvidia will follow sometime after. That's my bet. If it is any higher than $550 it won't sell very well and nvidia knows this. 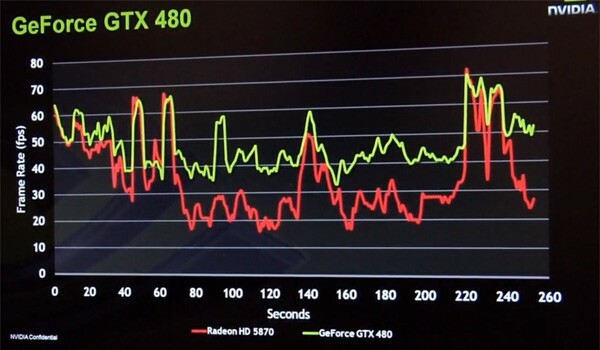 Lately the GPU companies have only announced products either right before or at the same time they are actually launched in retail. Thier are sure going to be a lot of happy campers when they finally do release, just hope the performance, power demand and heat expulsion solidify the wait! As for price, provided the latter points mentioned are all adequate, enthusiasts will have no problems (as in the past) paying premium dollar for these Cards. release isn't the rumor... performance/price are! Last edited by artistpavel; March 6, 2010 at 10:09 PM.